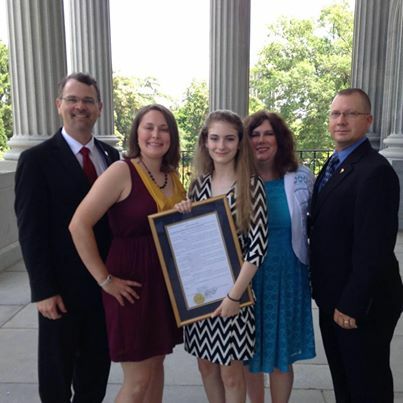 On Tuesday, May 13th, I had the pleasure of presenting Amber Ballenger of Abbeville with a House Resolution in recognition of her winning the Challenges and Choices contest sponsored by Dreams with Open Arms as part of Teen Pregnancy Prevention Month. Her artwork will be featured on their tee shirts. The first time this has been done. Congratulations to Amber and her parents John and Lisa Ballenger as well as Amber’s teacher, Renee Newton. This entry was posted in Uncategorized and tagged Amber Ballenger. Bookmark the permalink.